Is PicoSure Tattoo Removal Right for You? Is Laser Hair Removal Bad for Your Skin? Considering Lipo in Fort Worth? Try SculpSure Instead! Looking for a Non-Surgical Alternative to Liposuction? Try SculpSure! Eliminate Your Double Chin with Non-Surgical Kybella® Injections by an MD in Fort Worth, TX! One of the most challenging areas to eliminate excess fat from is underneath the chin, also referred to as the submental area. For men and women who want to elevate and tighten their “double chin” without invasive procedures or downtime, we offer Kybella® treatments at Skin Deep Laser MD. Contact us today to schedule a consultation with Dr. Laura Riehm and our medical team and restore your confidence in your appearance with Kybella®. This popular aesthetic treatment is a safe and effective alternative to liposuction and other invasive procedures to remove fat from underneath the chin. 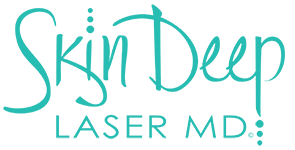 At Skin Deep Laser MD, we are highly trained in this procedure, ensuring dynamic, long-lasting results that you can trust. This injectable treatment is formulated from deoxycholic acid, which is found naturally in the body and aids in the natural breakdown and absorption of dietary fat. When administered into strategic locations underneath the chin, the deoxycholic acid permanently disables targeted fat cells and prevents them from accumulating or storing fat. Over the course of about two to four treatments with a maximum of six treatments, the submental area becomes firmer, improving your profile without disrupting your normal activities. Aside from slight bruising, swelling, or reddening of the skin at injection sites, Kybella® typically carries no side effects or tell-tale signs that you have undergone a cosmetic treatment. Prior to your treatment, Dr. Riehm and our medical team will evaluate your overall health and skin condition to make sure you have no contraindicating medical conditions. Results may vary, and it may take multiple sessions to achieve your aesthetic goals. During your consultation, Dr. Riehm and our medical team will create a personalized treatment plan and discuss how many treatments you may need, what you can expect during the treatment process, and how you can maintain your results. Contact Skin Deep Laser MD today to schedule a consultation and improve your facial profile with Kybella®.